Your child’s experiences at the dentist from a young age will help shape their oral hygiene habits and attitudes about the dentist for life. Ensuring that you encourage your child to establish healthy habits, and picking a Kelowna dentist that your children feel comfortable around and provide top children’s dental care is essential! At True Dental Kelowna, we know the importance of top dentistry for children. However, we also know brushing, flossing and talk of oral hygiene can be a snooze for some of our younger patients. In light of this, we try our best to provide children’s dental care that is thorough, but also fun! Keep reading for a few tips to help you children anticipate their dental care routines and trips to the kid’s dentist! Encouraging your children to brush their teeth properly (or at all!) may sound simple, but we know this can be a challenge for many parents! To help encourage your children to look forward to brushing their teeth, let them decide on their toothbrush and toothpaste from a few Kelowna dentist approved options. 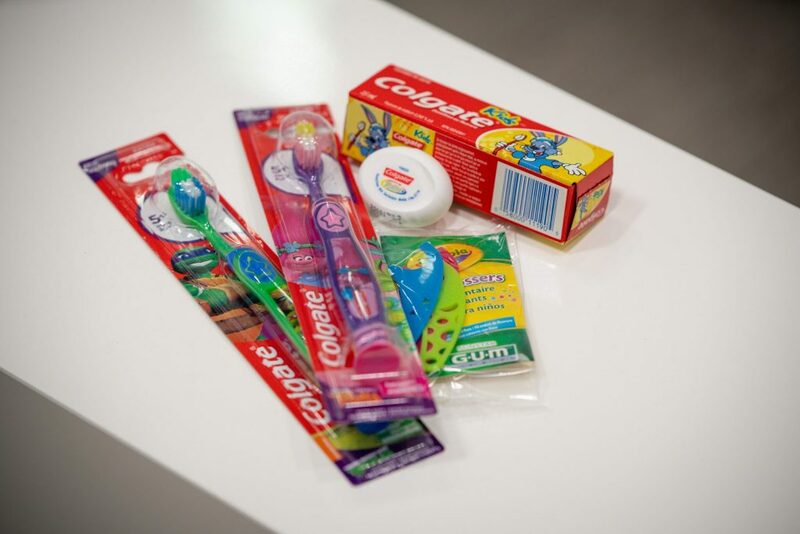 At True Dental, we allow children to pick a fun toothbrush or toothpaste of their choice after their appointment! Picking a toothpaste that has their favourite superhero or cartoon on it, or a toothbrush in their favourite colour can make every day brushing more exciting. We recommend chatting with your Kelowna dentist about proper brushing techniques for children, and the best toothpaste options for them depending on their age. To help your child keep brushing for the recommended 2-3 minutes, try picking up a fun timer such as a coloured sand timer, a fun egg timer or even Oral B’s Disney Magic Timer for your device, so they know when to stop brushing. See our previous article on 5 Fantastic Ways to Make Teeth Brushing for Kids Fun here. For a kid, losing their first tooth is a big deal! Commemorating the loss of their first tooth with a craft can celebrate this milestone with your child. The craft can be simple, such as decorating a photo of your child without their tooth. Snap a toothy photo of them and let them unleash their creativity. You could also decorate a plain wood photo frame from the dollar store. You could give them some inspirational saying to write, let them swirl glitter glue, or attach stickers, beads or other small items. After the photo and frame are dried, you can display their keepsake. Where’s the Best Kids Dentist Near Me? Finding the right dentist that prioritizes oral health, while ensuring that your children enjoy their time in the dental chair doesn’t have to a struggle. If you’re wondering, “where’s the best kid’s dentist near me?”, we encourage you to book your children’s dental care appointment with us at True Dental! Many of our younger clients love our dental team here at True Dental! 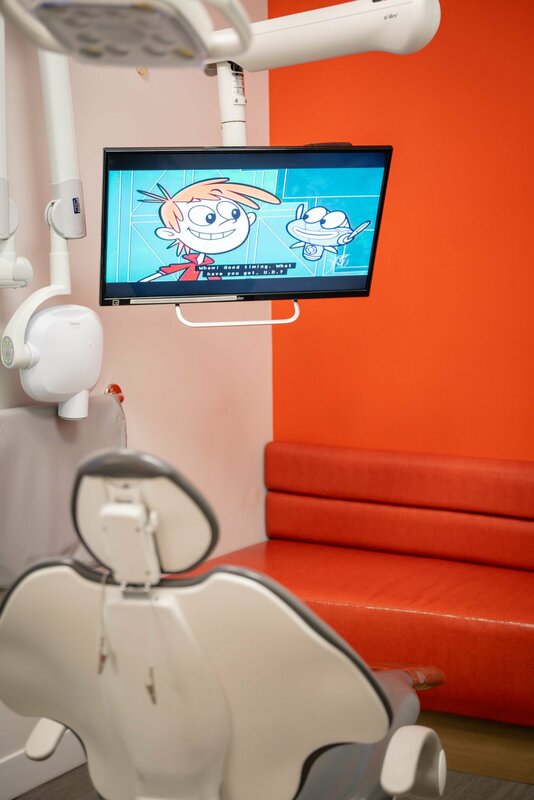 Our team of dentists knows the importance of engaging and treating children at a young age in a positive way that gets them excited and looking forward to coming to the dentist. Their energy and the connections they form with children is what makes True Dental stand out. Our team has successfully treated many children with laughing gas to help alleviate any dental anxiety. If your child is anxious about their dental visit, let us know. We’d be happy to help you come up with a solution to ensure their dental visits are something they look forward to! You can learn more about sedation for dentistry from our previous article on Overcoming Dental Anxiety here. Keeping your kid’s teeth healthy can be a challenge but working together with your child as a team will make it much easier. 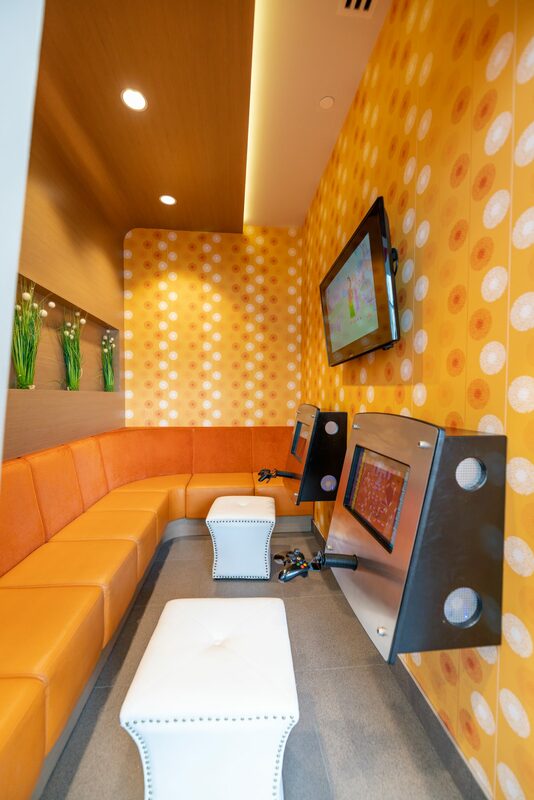 Proper children’s dental care is so important at a young age, and we love creating a fun environment at True Dental so that your child will enjoy their overall experience. Our philosophy is to treat every patient like a member of our family, and we want you to know that your child is in good hands. Book your next appointment at True Dental today!